Nanay's Trip My Journey and Joys Nanay's Trip Giveaway Alert: Two Free Seats to "Building Blocks of Homeschooling"
Giveaway Alert: Two Free Seats to "Building Blocks of Homeschooling"
Mga mare, especially to homeschooling nanays or those who are considering to start this journey, let's have a quick giveaway. Win two (2) free seats to a public seminar on the foundational and practical guide to homeschooling featuring the helpful topic of funding your homeschooling journey. 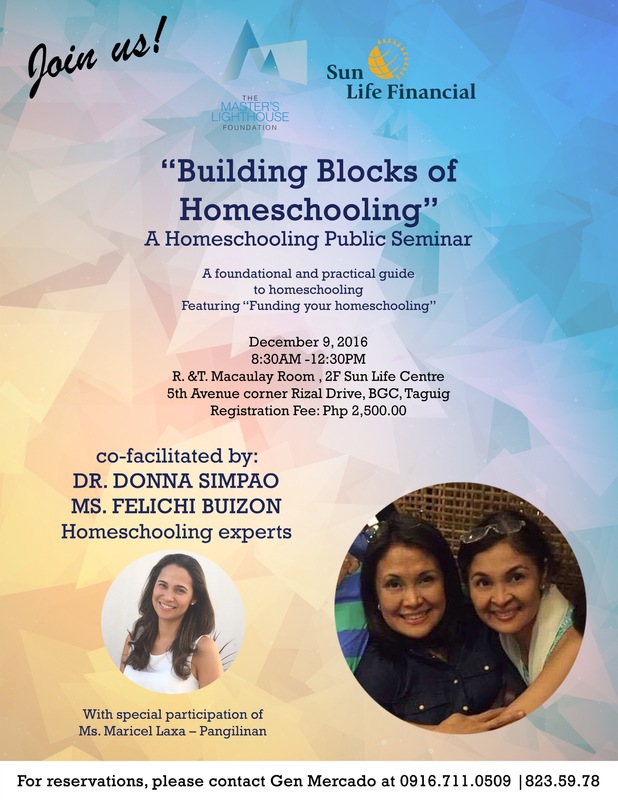 The seminar will be co-facilated by two mothers and homeschooling experts, Dr. Donna Pangilinan-Simpao and Ms. Felichi Buizon with the special participation of Ms. Maricel Laxa-Pangilinan. Please check the poster for more details about the seminar. Homeschooling, same as our life choices, entails preparation in terms of studying its pros and cons and how it can fit our families' values and principles. One of the best resources to help us in making this brave choice is listening to inspiring testimonials from homeschooling families. The first seminar on preschool homeschool facilitated by The Learning Basket a few years back created a huge impact in our decision to step into the homeschooling life. "Building Blocks of Homeschooling" may be the push and inspiration you need to finally make that life-changing decision for your family. Mga mare, just comment below your child's favorite bedtime book, your full name and email address. I will randomly choose the winner of two tickets on December 7 and will post the winner, 12 noon of the same day. You can follow our homeschooling journey in Instagram @homeschoolingrio. My son's favorite bedtime book is Bob's Boat Ride. I love that this book has large font, helps my little one with phonics, and has stories that are fit for short attention span. Elijah's favorite bedtime books are Brown Bear, Brown Bear What Do You See? and Thomas The Engine Train Story Collection. My two boys' favorite bedtime books are from the "O Mateo" series by Grace Chong (OMF Publishing). They love to follow the varying stories centered around this kind half-orphaned boy while I love that they get great insights about the Filipino culture. The virtues focused in each book are presented lightly through simple stories told in a fun way with cute drawings to boot 😄. Now they are even thinking of indulging in projects they see compliment what they have read! My baby's favourite bedtime book is First Prayers. She's only 11months old but she always reaches out for this book every bedtime. It has lots of images and beautiful colors. My son's favorite bedtime book is Love You Forever. Instead of baby, he changes the lyrics into "bata" while singing the song. He really love this book. 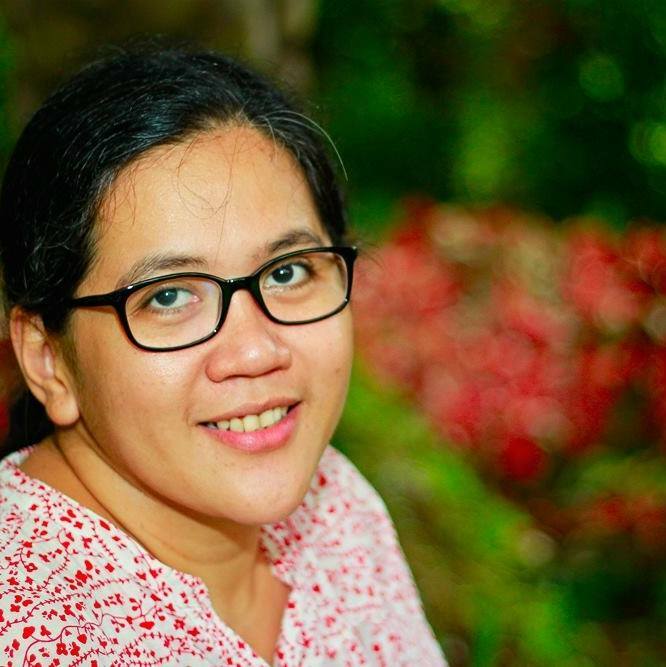 Hi Nanay! Ang paboritong aklat ng anak ko ay "Nawawala si Muningning" at "Runaway Bunny." Salamat!